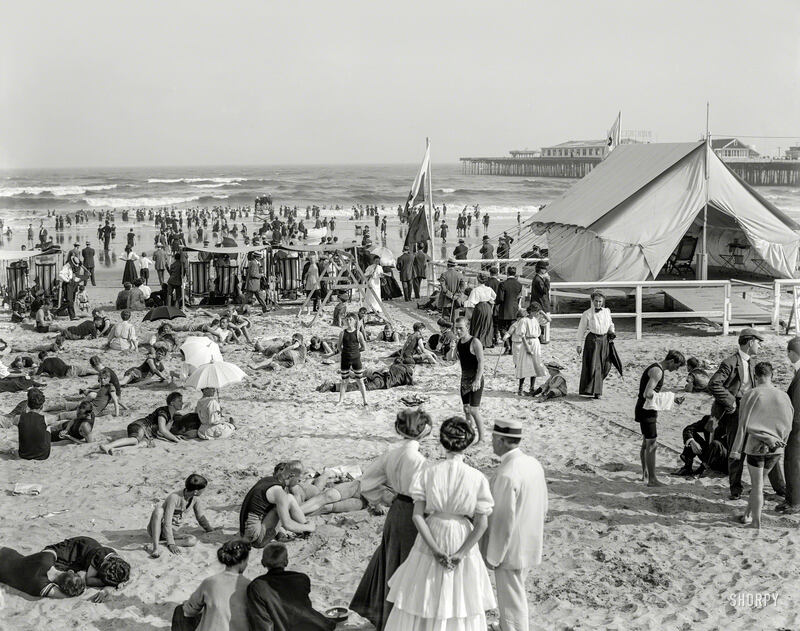 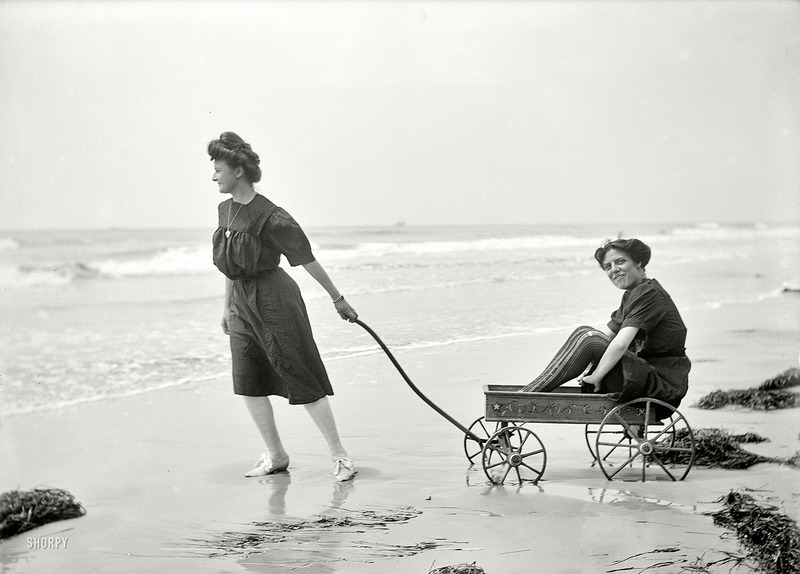 The Jersey Shore circa 1910. 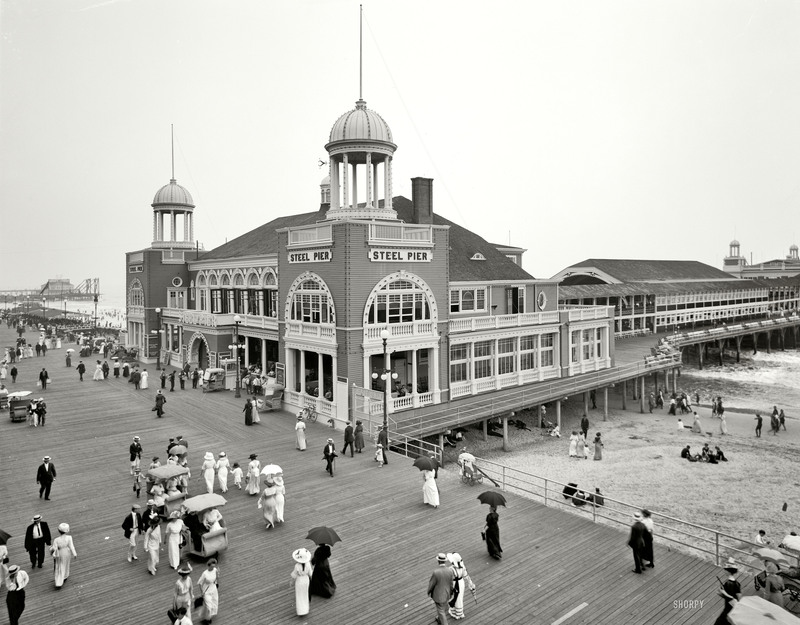 “Steel Pier, Atlantic City.” Now playing: Vessella’s Italian Band. 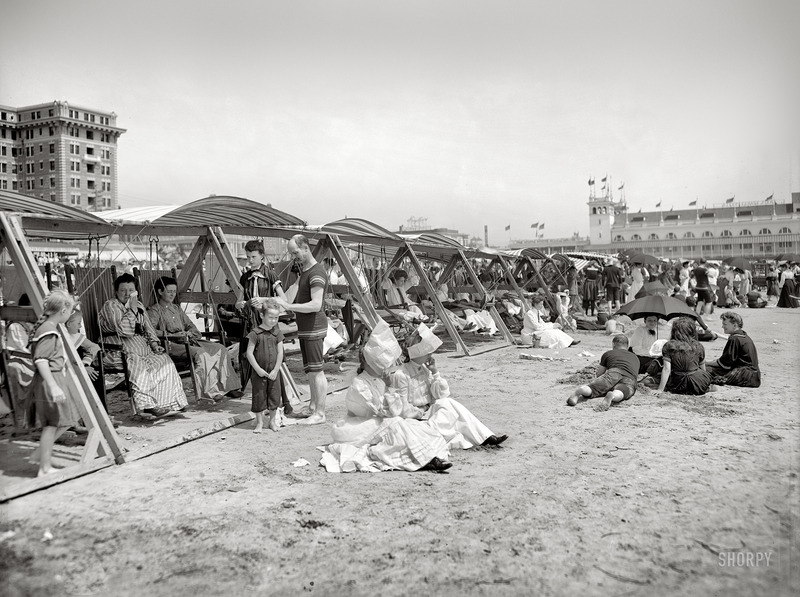 8×10 inch glass negative, Detroit Publishing Co.